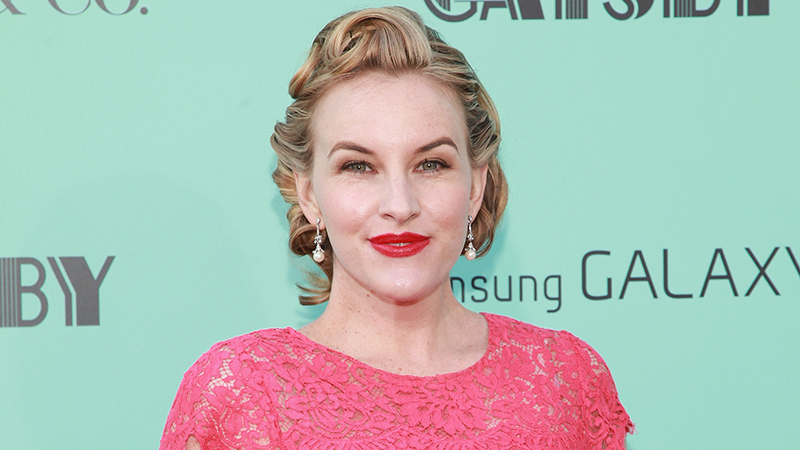 Deadline is reporting that Kate Mulvany (The Great Gatsby) has joined Jordan Peele’s Nazi-hunting series The Hunt as a series regular. James Le Gros (Drugstore Cowboy), Ebony Obsidian (If Beale Street Could Talk), Caleb Emery (Little), Henry Hunter Hall (When They See Us), and Jeannie Berlin (The Night Of) have also been cast in key recurring roles. Mulvany, whose credits also include Lambs of God, Fighting Season, The Merger, Secret City, and The Little Death, will play Sister Harriet, one of the members of The Hunt. Obsidian will play Carol Hawthorne, Jonah’s neighbor and romantic interest; Emery will play Jonah’s best friend Arthur “Bootyhole” McGuigan; Hall will play Jonah’s other best friend Sherman “Cheeks” Johnson; Gros will play veteran FBI agent Detective Grimsby and Millie’s boss at the New York bureau, while Berlin will play Jonah’s grandmother. The Hunt’s A-list cast includes Logan Lerman as Jonah Heidelbaum and Al Pacino, making it his first-ever television role. Emmy Award-nominated actor Dylan Baker (The Good Wife), Jerrika Hinton (Grey’s Anatomy), Greg Austin (Class), Catherine Tate (The Office), Josh Radnor (Rise), Tiffany Boone (Beautiful Creatures), and Saul Rubinek (Warehouse 13) will also star along with Academy Award nominees Lena Olin (Enemies) and Carol Kane (Hester Street). The series has been given a direct-to-series order and will have 10 hour-long episodes. The Hunt will tell the story of a group known as the Hunters living in New York City in 1977. The Hunters discover that hundreds of former high-ranking Nazi officials are living among them and conspiring to create the Fourth Reich in the U.S. The group then sets out on a bloody quest to bring the Nazis to justice and thwart their new genocidal plans. The story is inspired by real-life events. Jordan Peele’s Monkeypaw Productions and Sonar Entertainment are producing The Hunt, while Peele and Win Rosenfeld (Dark Net) are executive producing for Monkeypaw. Tom Lesinski (Mr. Mercedes) and Jenna Santoianni for Sonar will also serve as executive producers. The Hunt will premiere worldwide when it debuts on Amazon. As of now, there is no set release date.